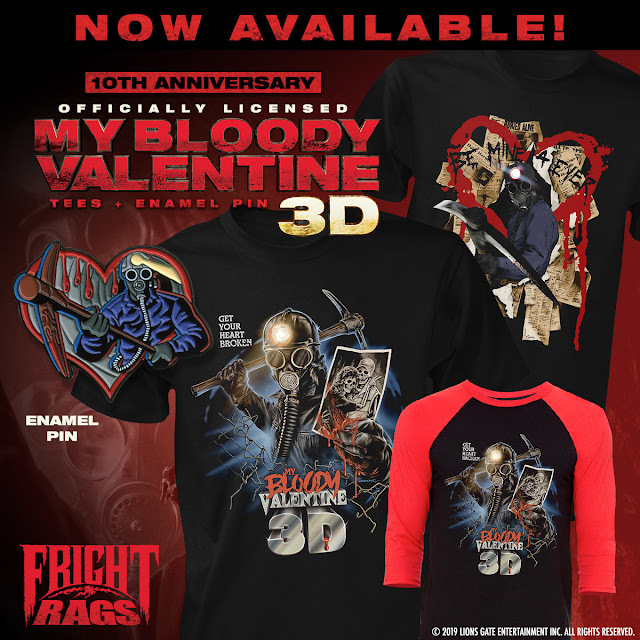 Whether you're spending Valentine's Day alone or with a significant other, Fright-Rags's latest releases from My Bloody Valentine 3D, Elvira, and The Warriors will make any horror fan's heart swell with joy. Come out to play-yaay with Fright-Rags' The Warriors shirts. 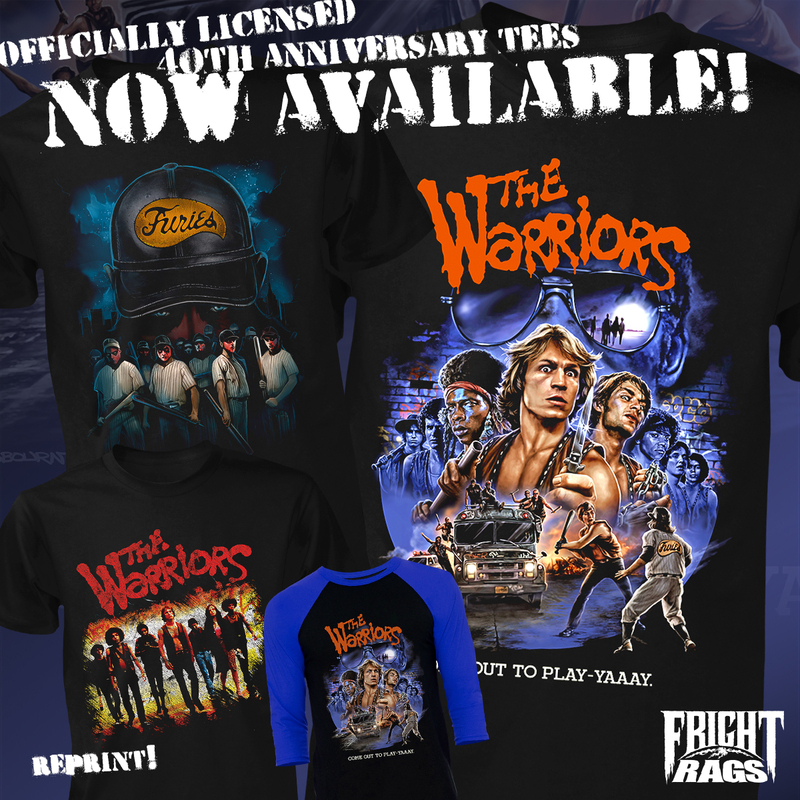 Celebrate the 40th anniversary of Walter Hill's 1979 cult film with two new designs along with a reprint of classic artwork.